An Indian newspaper has reported that Russia has offered to build nuclear power plants with India in other countries. This cooperation in the atomic energy sector will even extend to cooperation in areas like the joint extraction of natural uranium, the production of nuclear fuel and elimination of nuclear waste. Russia has proposed a plan to involve India in building Russian-designed nuclear power plants in third countries, the Indian Express reported. According to the newspaper, the cooperation is to be extended also to the area of joint extraction of natural uranium and the production of nuclear fuel and atomic waste elimination. “Russia has also offered to build over 20 nuclear power units in India, up from the 12 offered earlier”, the Indian Express added. It also quotes a high-level source, saying that Moscow saw it as “long-term, mutually beneficial cooperation” in the nuclear sector. Today Russia remains the only country that is really cooperating with India in the field of nuclear energy. 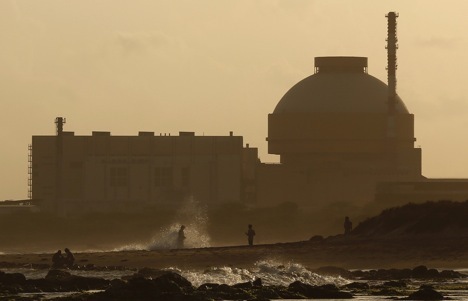 Earlier, in the southern Indian state of Tamil Nadu, the first unit of the Kudankulam NPP, built with Russian assistance, was put into commercial operation. The second unit has already been constructed and is now in the hot running stage; the final testing before loading of the nuclear fuel. During his visit to New Delhi on December 11, 2014, President Vladimir Putin signed a document defining plans for Russia to assist in building at least 12 nuclear power units in India.